I donated a kidney on June 8, 2016 to the most precious man I know, my father. My father was on peritoneal dialysis for five years and that last year of dialysis was without a doubt his hardest. I could see that dialysis was slowly, yet too rapidly for me, taking my father’s life. Thanksgiving morning 2015 both of my parents were crying as they shared some donor pamphlets with the family. 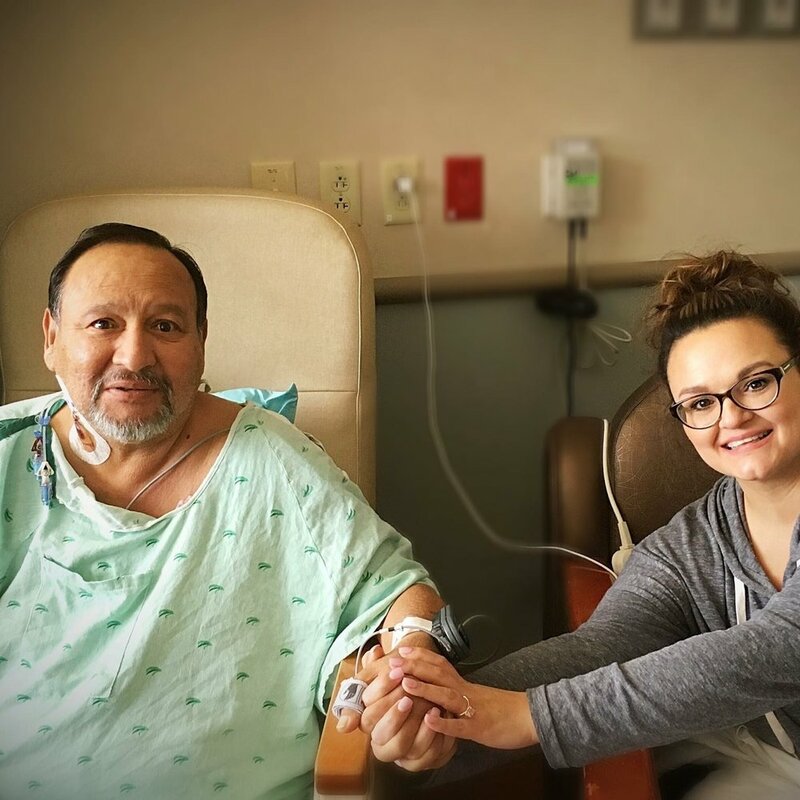 With tears in his eyes my father’s words that afternoon were, “I’m tired of being on dialysis, I want my life back, and I need a kidney.” That night without telling anyone, I went online and began the initial screening to be a donor. Pamphlets and online resources answered any questions I had, but I knew without hesitations that I wanted to donate to my father. The entire testing process was completely free! I was even given an annual exam by an obgyn and my first mammogram ever, at no cost to me. The process for becoming a living kidney donor is without a doubt, bittersweet. It was exciting yet nerve racking. I am a firm believer in prayer and with each test, each tube of blood, and each physical exam I went through I prayed and even begged God for a clean bill of health. My greatest fear was being denied. Which prompted me to start my own YouTube channel (Table For Seven). I figured if I took viewers along for the ride and if I WAS denied, I would have a sense of responsibility and show my viewers how to advocate for those in need of a kidney, (and not just sulk in disappointment). I shared a short video with my Dad on Christmas morning in which I surprised him with the wonderful news that I WAS A MATCH!!! That Christmas Day we were able to share the news with our extended family. Needless to say it was a very blessed Christmas and thankfully I had a great support system. I encourage everyone who has given living donation a single thought, to give it a second one and just do it! The multiple lives changed by your single decision is incredible. Your one decision and selfless sacrifice doesn’t just change the life of the recipient. Your life and the lives of those around will also be changed forever. Each day is a blessing for me. I get to see and hear my father tell me about his day at work, trips he is planning for him and my mom, and my five children and nephew have their Grandpa to tell them how amazing they are! I can’t articulate just how much of a blessing being a donor has been for me. My life has changed in so many ways. I quickly found a love for advocating! I used my channel to try to help others who were in need of a kidney, find one. I have gained so many friendships through my channel and have heard encouraging words on how sharing my story has inspired those considering being a donor, to donate. I firmly believe that my kidney was always intended for my father...I was just it’s temporary home, keeping it healthy for when he would need it. Some recent and very exciting news is that I am partnering with two kidney recipients to start our very own foundation. Our mission is to help educate patients and their families on kidney donation and kidney transplants, here in Texas. The number of patients on the kidney transplant list here in Texas is staggering and we want to help change that number.